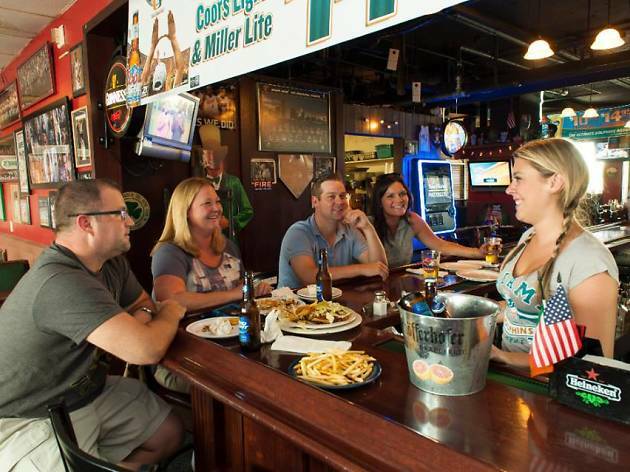 When it’s game time, we suggest you head to one of the best sports bars in Miami. They’ll have a beer waiting for you. 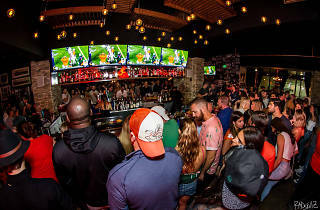 At the best sports bars in Miami, you’ll find many things: beer, wings and—especially in this city—disappointed sports fans. But that’s nothing some more beer and wings can’t fix, right? That’s why we love our sports bars. They may not have jaw-dropping drinks like the best cocktail bars in Miami, or fancy views like the best rooftop bars in Miami. But, you know what? Win or lose, they are there for us with a cold pint and a shot. In such a flashy, on-trend city, our sports bars are the sticky, smoky friends we need. And here are some of our favorites. What is it? 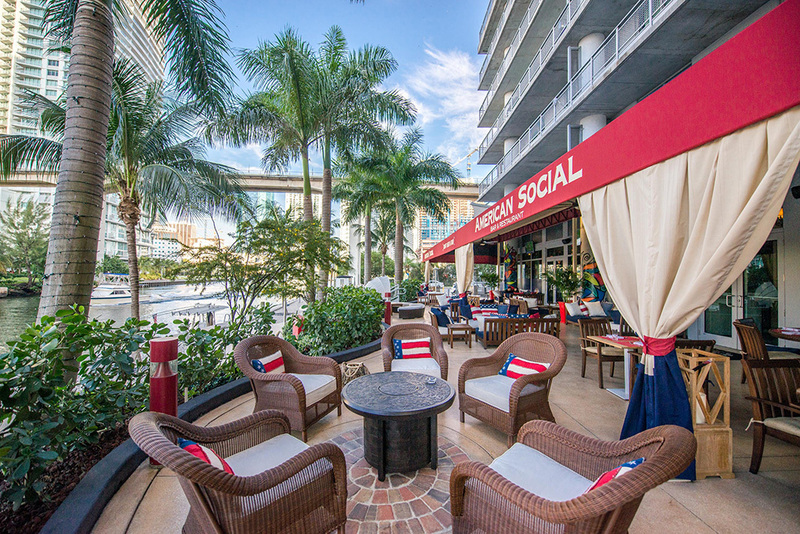 A Brickell favorite where you can find good food, drinks, views and pretty people. 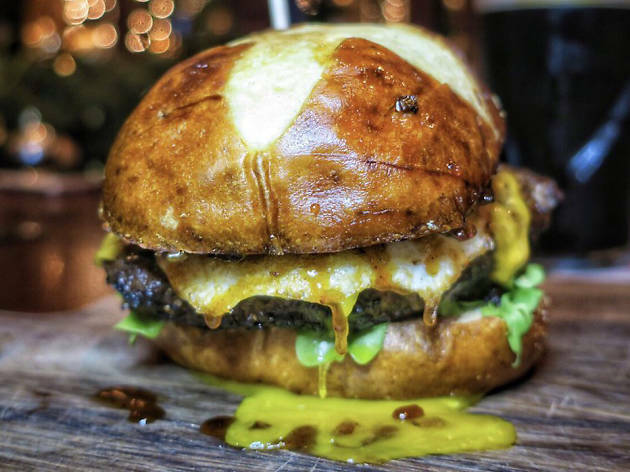 The waterfront American Social is basically everything that was not annoying about America’s gastropub trend of yesteryear. Why go? On game day (especially for college football) American Social is buzzing. This is also a great place to go if you don’t really care much at all about what’s on the TV. There’s plenty to keep you occupied other than the scoreboard. What is it? Fadó is ground zero for Miami soccer fans, both international and our own soon-to-debut MLS franchise. So expect plenty of booze, chants and comparatively gentle hooliganism. Why go? 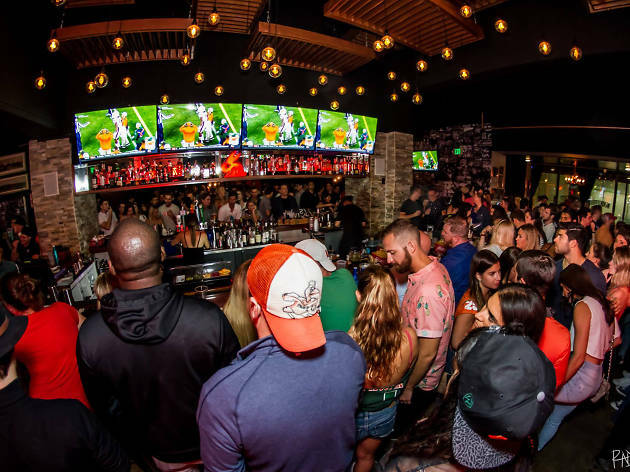 Fadó has a great location in the center of Brickell and is the sort of place you go if you want to feel comfortable screaming at the TV. What is it? 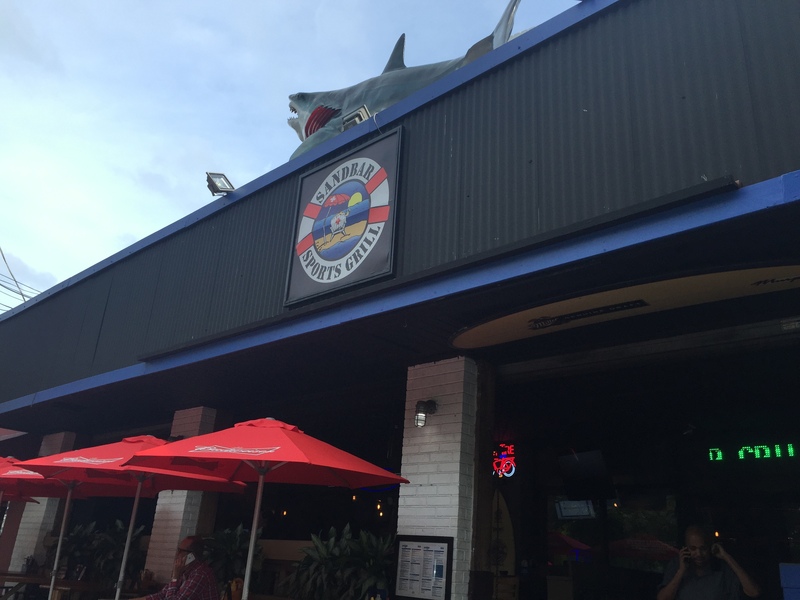 A waterfront bar and grill serving fresh seafood and plenty of cold drinks. 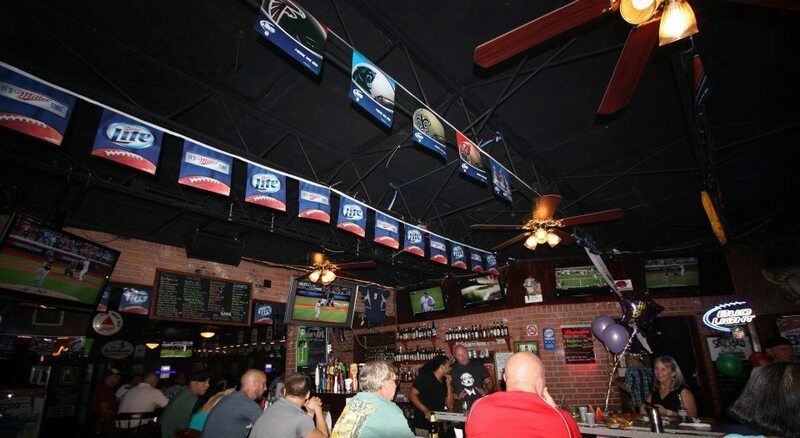 Over at the bar, you’ll find over 30 TVs playing whatever sport happens to be on at the time. Why go? 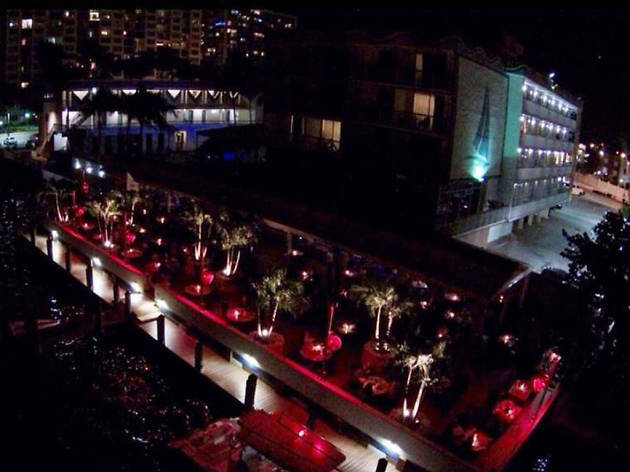 Shuckers is a local favorite for its waterfront views. But once you take into account the happy hour with $3 draft beers, $13 Presidente pitchers all day and plenty of fried seafood—it’s kind of hard to beat. What is it? A modern sports bar in Downtown with plenty of shiny flatscreen TVs. Black Market is a little sleeker than your average, smoky neighborhood sports den. But that’s certainly not a bad thing. Why go? Black Market sports a young, fun crowd and reps Miami teams hard. The bar serves some ambitious cocktails alongside your normal cold beer. The menu operates similarly, with fried pickles and quinoa tabbouleh sharing the same page. What is it? An insanely random Irish sports bar on the ninth floor rooftop of a random Miami apartment building. It’s weird—but in all the right ways. Why go? 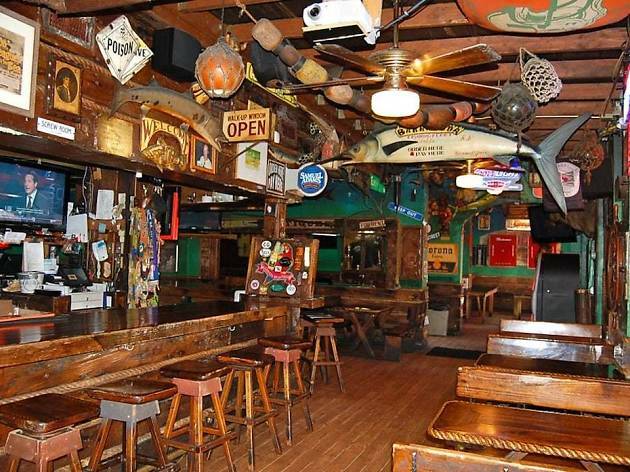 Miami locals with a pension for the odd and dive-y absolutely love Mike’s. In a rapidly developing chunk of Miami, it remains a defiant ode to sticky sports pubs, fried food and easy-to-pronounce beer. Where else in Miami can you find a first-class view with a working-class atmosphere? What is it? You know the way Floridians undyingly love Publix? Flanigan’s is kind of like that for South Floridians. 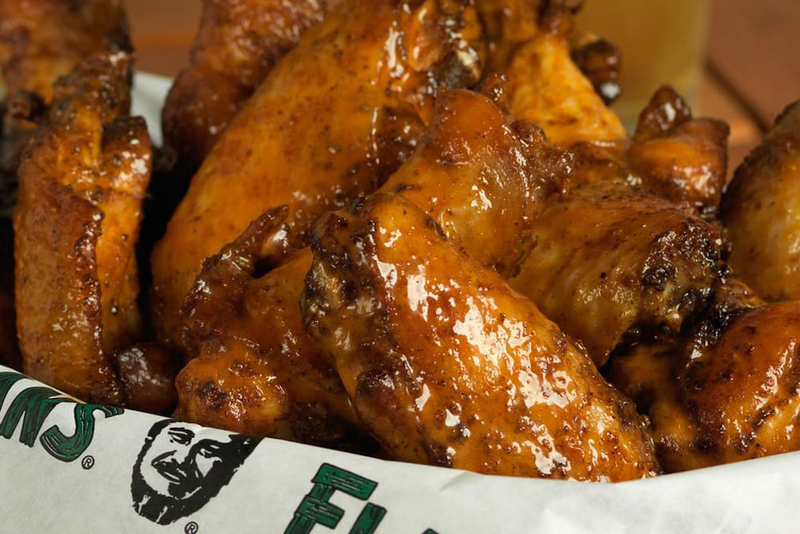 This local chain and its wings and ribs have a special place in all of our hearts. Why go? The specials here are awesome. 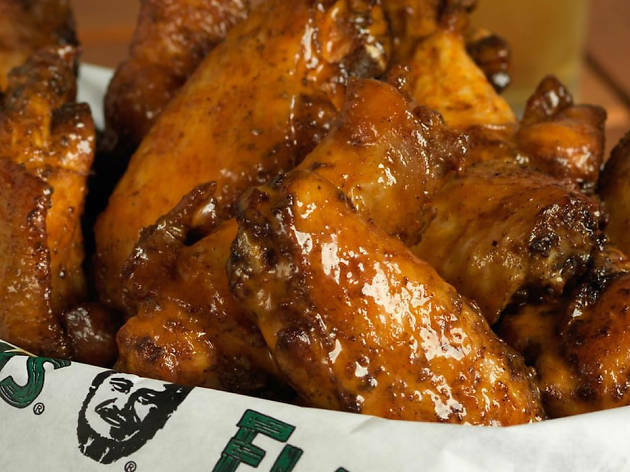 They rotate each day from wings to shrimp to prime rib and more. Plus, there’s just a familiarity about this place that we love. It feels like slipping underneath a warm blanket that smells slightly like a deep fryer. What is it? Oh, Sandbar. 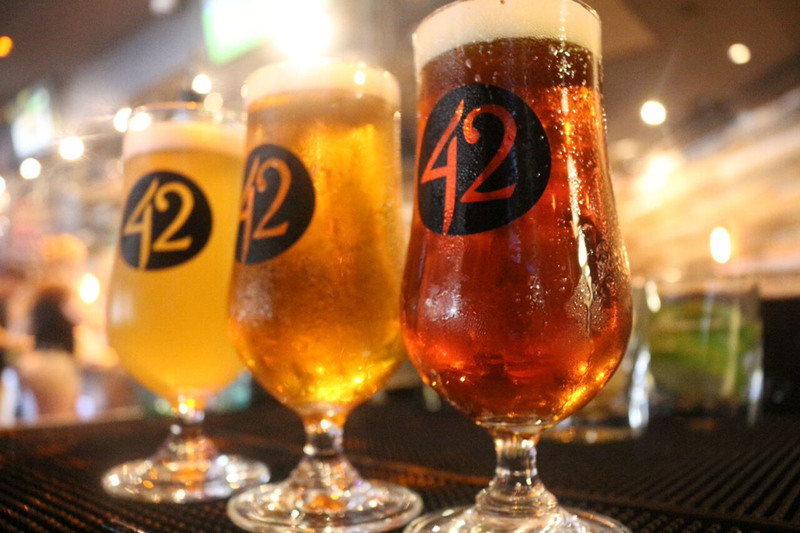 This reliable, boozy joint is occasionally overrun with thirsty college kids. Most days, though, it’s got your average sports bar crowd, who are there to enjoy the beer and fish tacos (Sandbar claims to have served over 23,000 in its 18 years of service). Why go? Are the Hurricanes playing? If so, this is your spot. It’s always nice to be surrounded by fellow drunk people rooting for the same team as you, isn’t it? What is it? A true local spot out west, right next to the airport. Don’t come to Tom’s in search of elevated bar bites or spicy/sour craft beers. Here, it’s beer, wings and football. Why go? 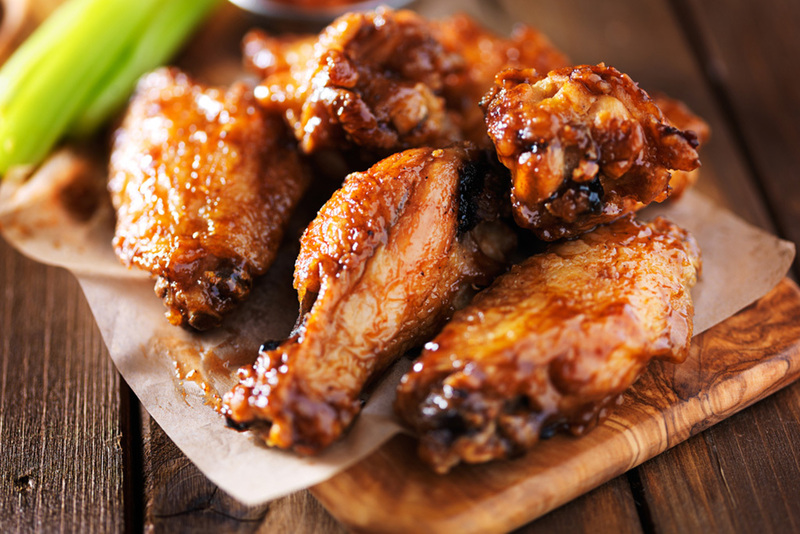 Because you like beer, wings and football. Didn’t you hear us? 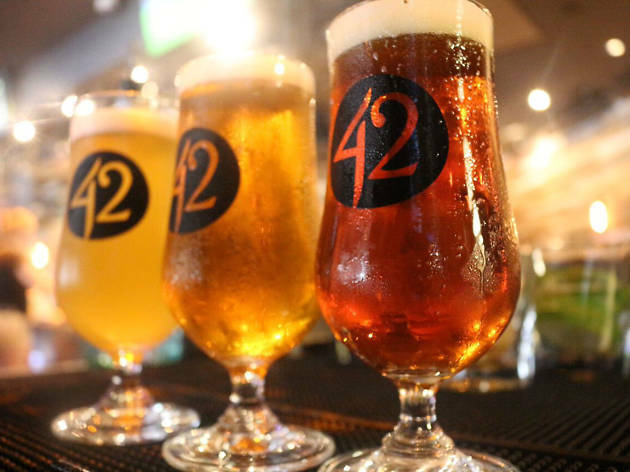 Plus, daily specials offer $4 beer daily, which is a pretty unheard of price point in the 305. What is it? 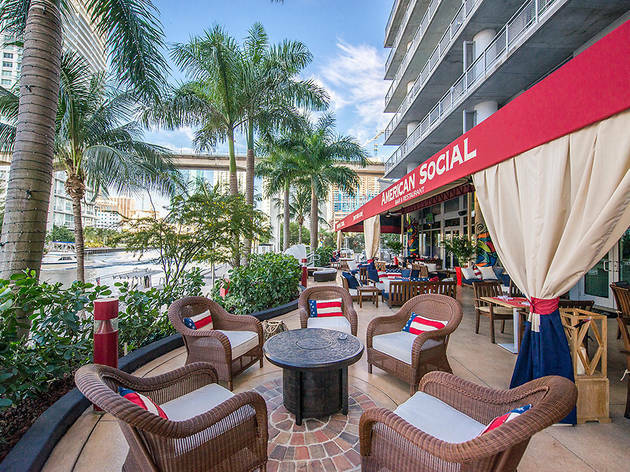 This Coconut Grove spot is a notorious UM hangout. But locals dig the budget-friendly dive too. 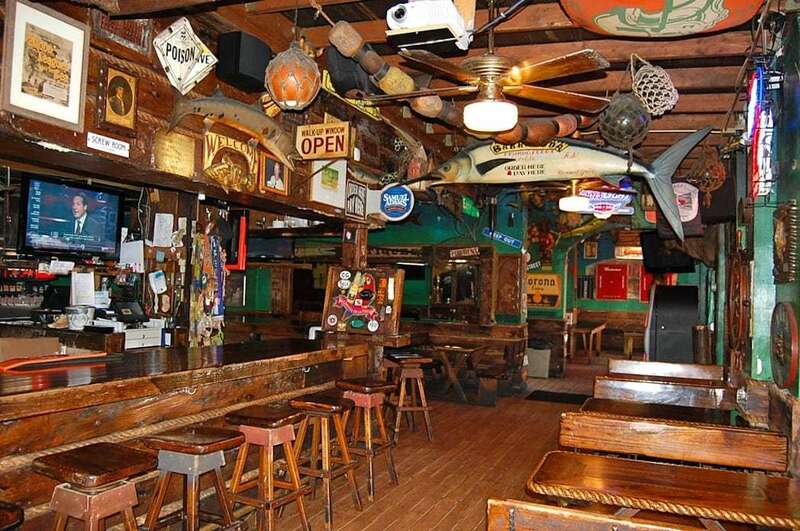 Inside, there’s plenty of nautical wood, stuffed fish on the wall and TVs for viewing. Why go? 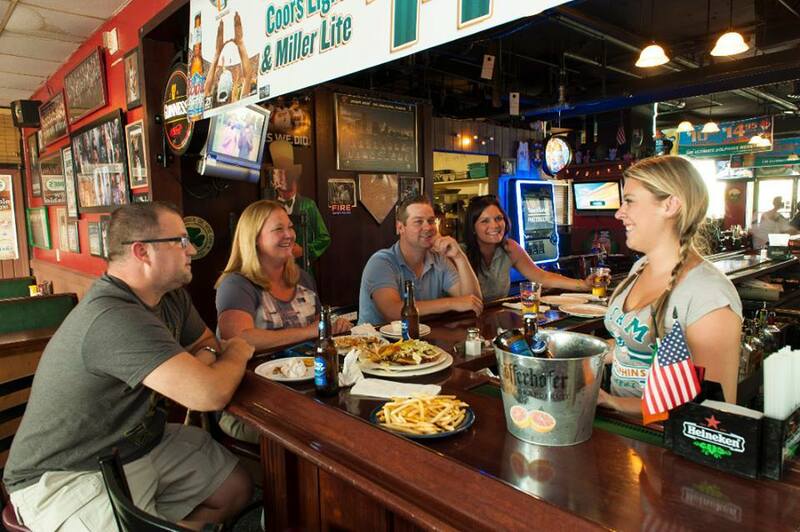 Coconut Grove, at its best, is a home for odd local establishments we can’t help but love. Barracuda is one of those. This is a bar with personality that doesn’t particularly care about impressing you—but is more than happy to get you drunk. What is it? 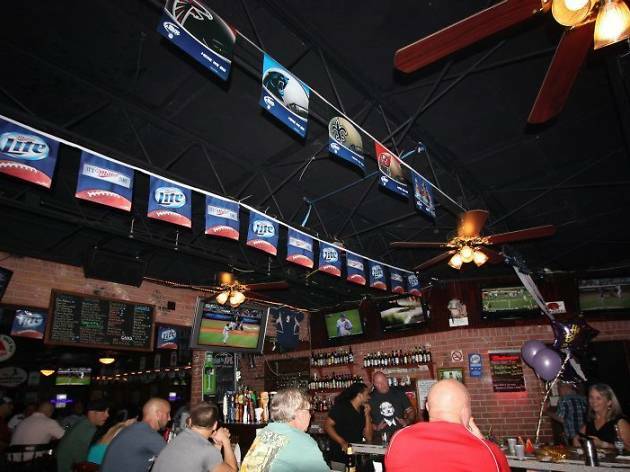 A local sports bar with seven outposts in South Florida. Things here are pretty much as advertised: sports and a grill. Why make it complicated? Why go? There’s always a bargain at Sports Grill. Get $5 burgers on Monday and kids eat free on Wednesday. 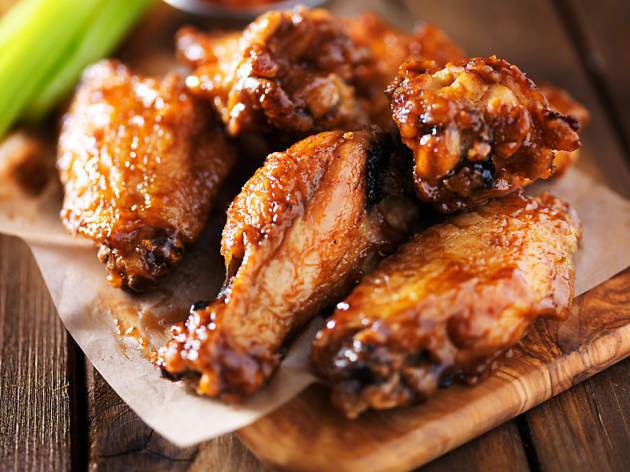 There are sporadic wing specials too—and those babies are pretty tasty.